Toontown will never be the same now that Bonkers D. Bobcat is a cop. Three of Toontown's most precious treasures, the Sorcerer's Hat, the Mermaid's Voice, and the Magic Lamp, are stolen, causing BONKERS to find himself on his first case. You'll have to guide Bonkers and his faithful friend, Fall-Apart Rabbit, through six nutty worlds pulled straight from the popular Disney animated series. Along the way, you can collect bombs and shields that will come in handy as you fight off enemies while searching for important clues. 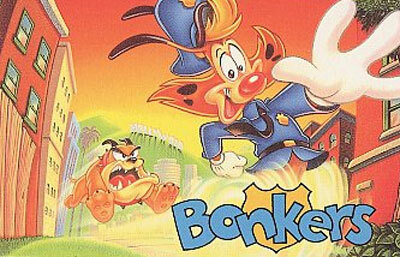 If you're looking for a game that the whole family can get into and enjoy, then look no further than BONKERS.